Help arrived on two wheels for Columbo the dog. 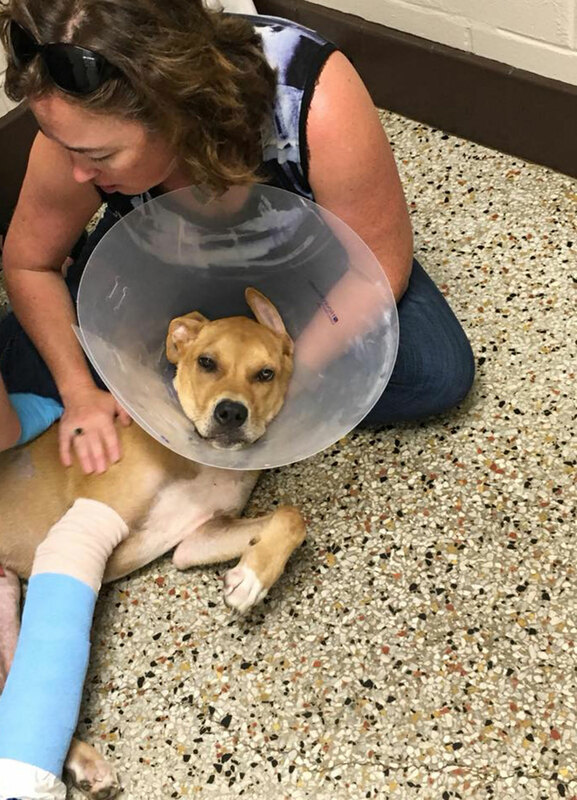 In early July, Columbo, then a stray dog in Columbus, Georgia, was hit by a car and left injured in the street, CBS News reports. Shortly after the accident, Jarrett Little rode by on his mountain bike with a group of other cyclists. 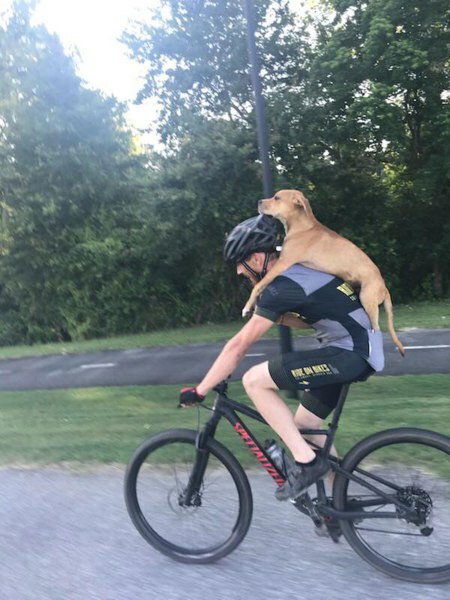 Worried about what would happen to the canine if left alone and injured, Little gave the animal a ride on the only transportation he had: his bike. Little carefully placed the pooch on his back and biked him into town. Once they were literally out of the woods, Little and the dog were approached by a woman who took interest in the pair. It turned out the woman, Andrea Shaw, was an animal lover from Maine who was in the area on a business trip. Touched by Columbo’s story, she told Little she would take care of the dog and find him help. Little gave Columbo to Shaw so the dog could start the next leg of his journey. 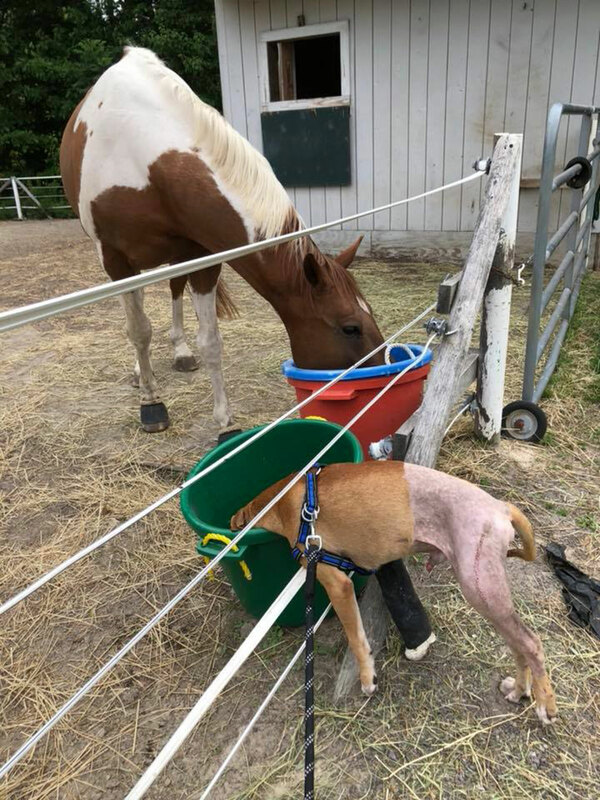 Shaw paid to have Columbo’s leg fixed and his injuries treated, and she found the organization Canine Freedom Transportation to safely transport the dog back to Maine, even with 25 staples in his leg. Now, Columbo lives in the north with Shaw full-time, enjoying his new life on the Good Samaritan’s horse farm. But Shaw made sure the pup kept some of his southern roots by naming him after the city in which they first met. Now that the former stray’s story has started to spread, he has gained a lot of fans. 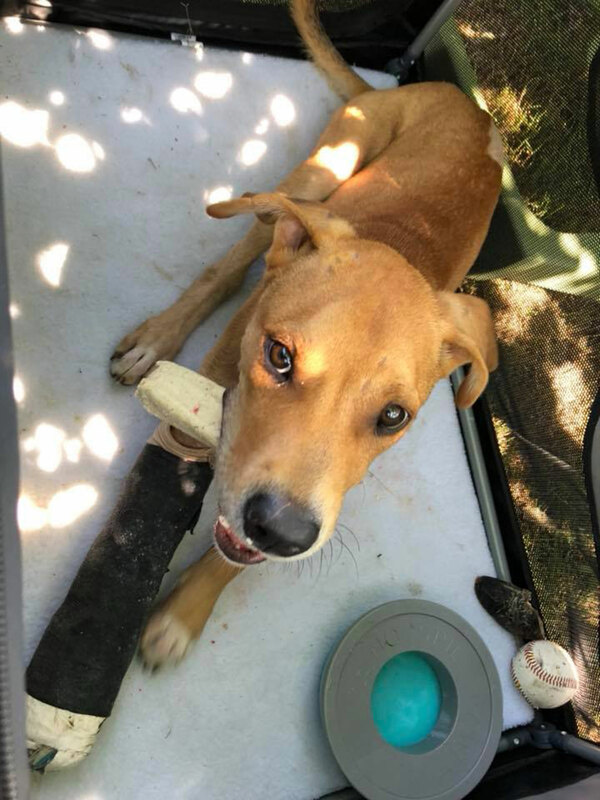 Shaw started a Facebook page, Adventures of Columbo, for her new dog, sharing updates and stories of other animals in need with Columbo’s growing audience — which includes Little.